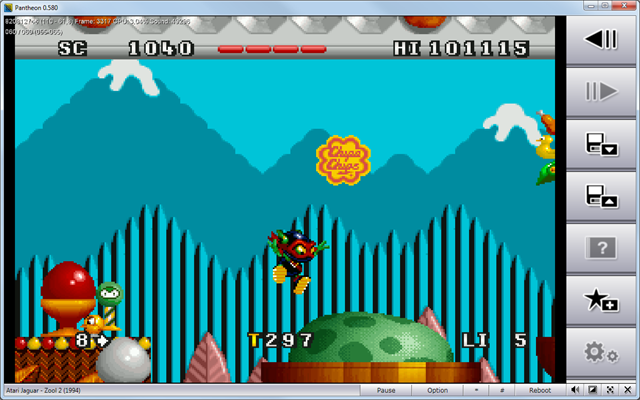 I've been working on Atari Jaguar emulator for months and I have made some significant progress this week. Some game are almost fully playable, others won't even start, but I think it's just a matter of time until they do. My biggest concern at the moment is performance: emulator uses 60-100% of my laptop's CPU (2.1Ghz), but I hope I find a way to make it work a bit faster. Atari Jaguar was a powerful machine with three microprocessors and powerfull graphics chips, and the Atari Jaguar emulator is one of the most difficult programs I've ever made. And it's not even finished. But games for this device look fantastic, so I think it was worth it.